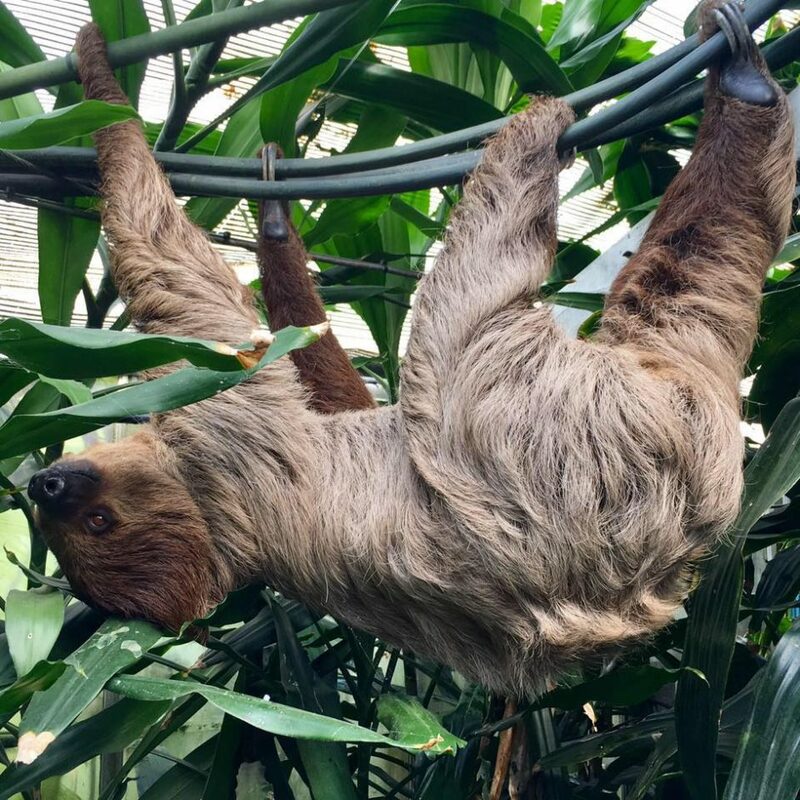 The Linne’s two-toed sloth live in the canopy layer of tropical forests, where they spend most of their lives hanging upside down from branches. This species of sloth often relies on just one tree to feed it for its whole life. Young sloths inherit this tree from their mothers. A sloth’s metabolism is so slow that it can take a whole month to digest its food! Two-toed sloths have a wide geographical range and are rarely hunted (many cultures believe it is bad luck to eat sloth meat). However, they can be hit by cars as they try to cross roads and are sometimes killed by electric power lines that they mistake for branches.